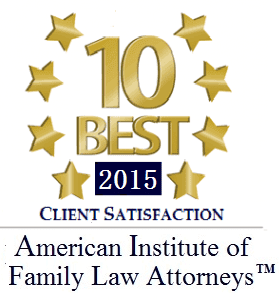 When facing divorce or other family law matter, who you select to represent you is of ultimate concern. It is vital that your attorney is committed to seeking the outcome that you want in your situation and provides unwavering support of your rights. When children are involved, this becomes even more critical, as the children's futures will be based upon court decision. How your case is presented in court will influence the outcome and I, Attorney Garland Hall, am committed to fighting for your best interests. The ability to negotiate with opposing counsel to bring about a resolution without dragging the case on endlessly, at a high cost both financially and emotionally, is crucial in family law matters. At my Glen Burnie family law firm, I provide the dedicated legal support you need in these trying times to reach a favorable outcome. Attorney Kelley Spigel also serves clients at my firm and has been industry recognized by the American Institute of Family Law Attorneys for her work. Contact my Maryland firm to schedule your free 30 minute initial consultation! I also practice in the areas of bankruptcy, criminal law, and personal injury and represent clients throughout Glen Burnie, Crofton, Odenton, Severn, Pasadena, and Gambrills. Personal Service for Your Divorce. As a smaller, boutique practice, I can provide personalized attention. Unlike larger firms, your case will be handled directly by me, not an assistant. I know when to fight on your behalf in court and when things can be settled. In every case I handle, I seek the best result possible for the circumstances. I will make your case a priority and will give it my full attention. How Can The Law Office of Garland C. Hall Help You? As a Glen Burnie divorce attorney, I am proud of the personal legal service I provide to my clients. A divorce, custody-related dispute, or any family law matter may present serious difficulties for you and your family. They may also have a profound financial impact on you for years in to the future. Your well-being, as well as the upbringing of your child or children, is important. To properly address a case of this kind, you need an attorney who not only understands the ins and outs of this often emotionally charged field of law, but who has the level of commitment to work with you to reach a swift and favorable outcome—without breaking the bank. I offer a free 30 minute initial consultation so we can discuss your case and what can be expected as an outcome, costs, and other concerns you likely have. Trust my Maryland firm for the help you need. Call (410) 870-5932 or fill out the secure form below.